Hi everyone! 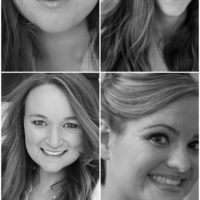 It’s Bre from Brepurposed back today with another contributor post for you! 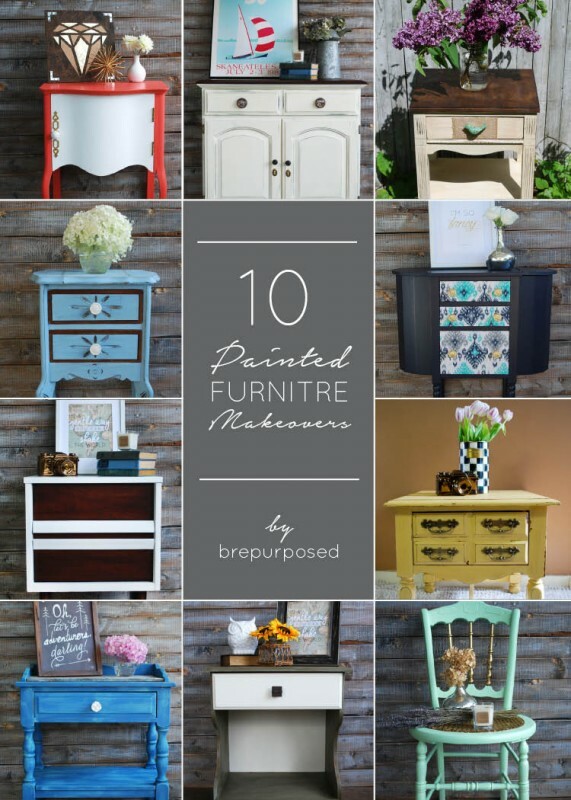 I hope you all had a great weekend and are all rested up for another week :) Today I’ll be sharing with you 10 Painted Furniture Makeovers of mine. Hope you enjoy! 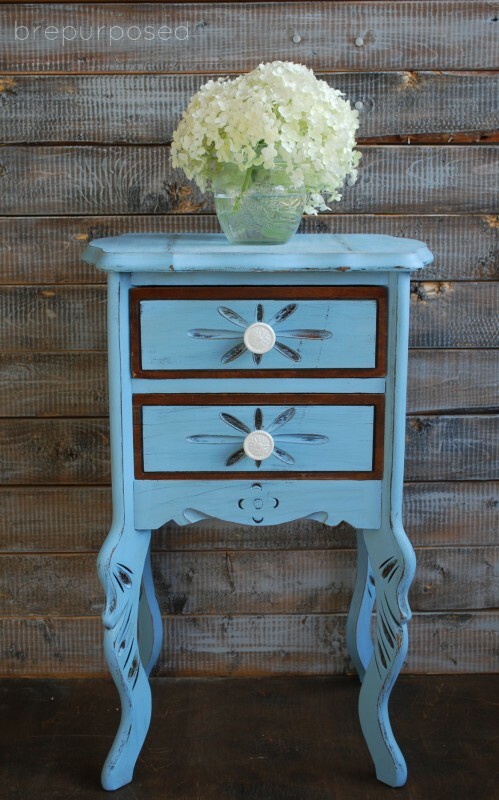 Repurposing old furniture is my specialty and I’ve fallen in love with finding old junk and turning it into something beautiful. It’s so fun to see the transformation and being able to save something that someone else thought was trash. So here we go! NUMBER 1 :: First up is this unique old table that I got off Craigslist. I’ve heard it was used to hold sheet music and I’ve also heard that it was used to hold old records. Either way, I love the shape of it! 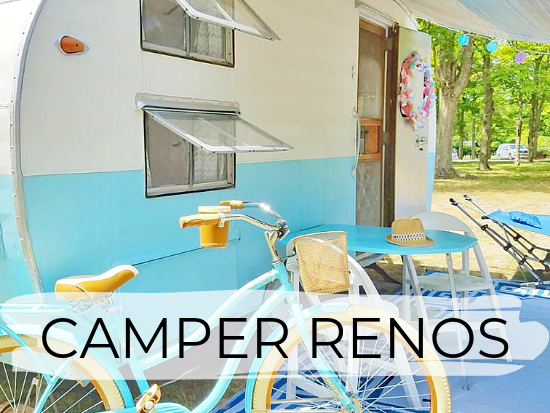 It’s painted in Country Chic’s Full Bloom. 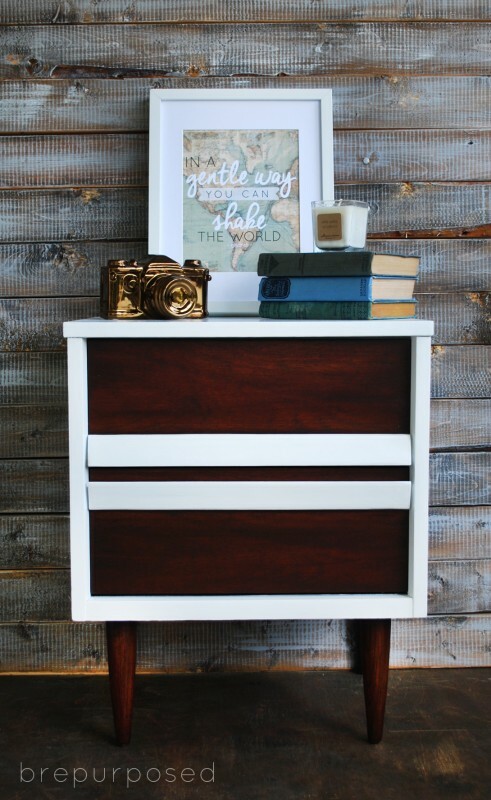 NUMBER 2 :: Next up is this buffet that I got from a garage sale. 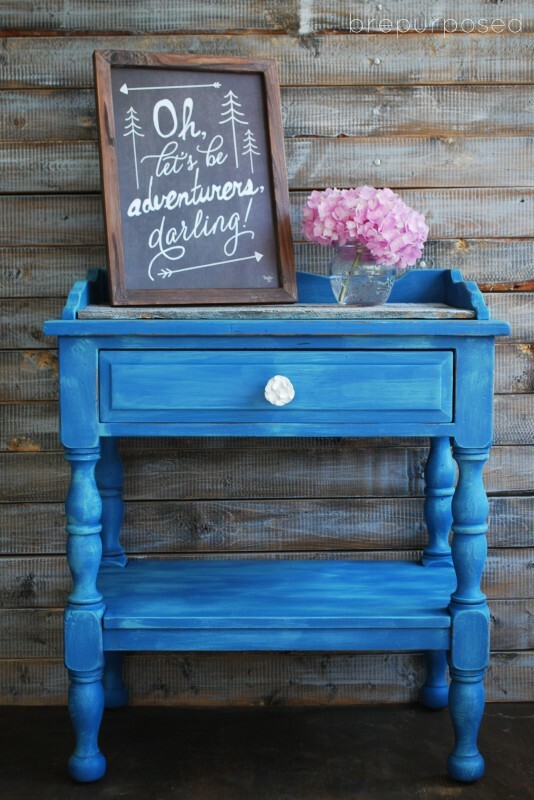 I redid it for a friend as a wedding gift and they’re currently using it in their living room. 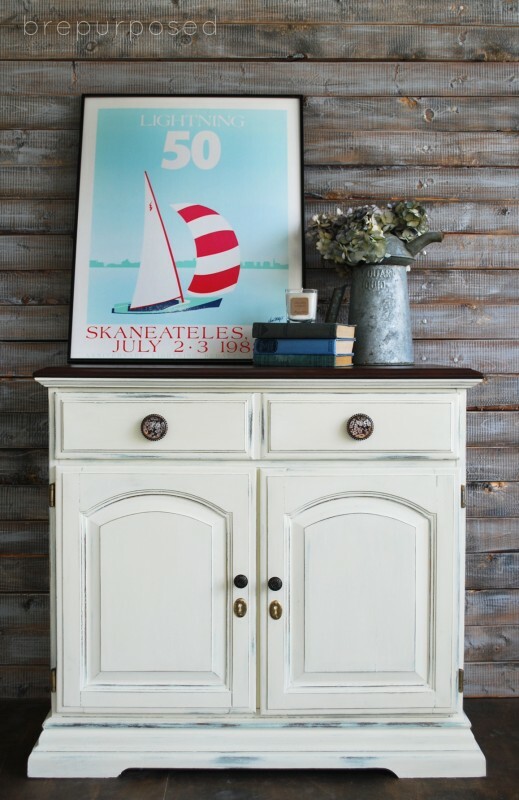 It was painted in Annie Sloan Decorative Paint® in Old White and the top was sanded and refinished with General Finishes Brown Mahogany Gel Stain. 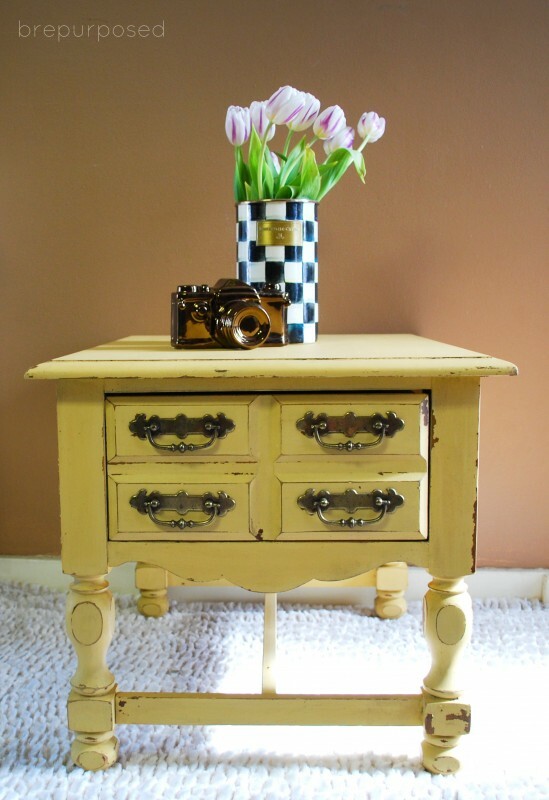 NUMBER 3 :: This next table I got from a local antique store and painted it in Annie Sloan Decorative Paint® in Old White and finished with Dark Wax. The top veneer was stripped and it was finished with Dark Walnut Minwax stain. NUMBER 4 :: This little guy I picked up from a local Annie Sloan stockist and created a custom color using ASCP Napoleonic Blue and some Pantone Aqua Glass. 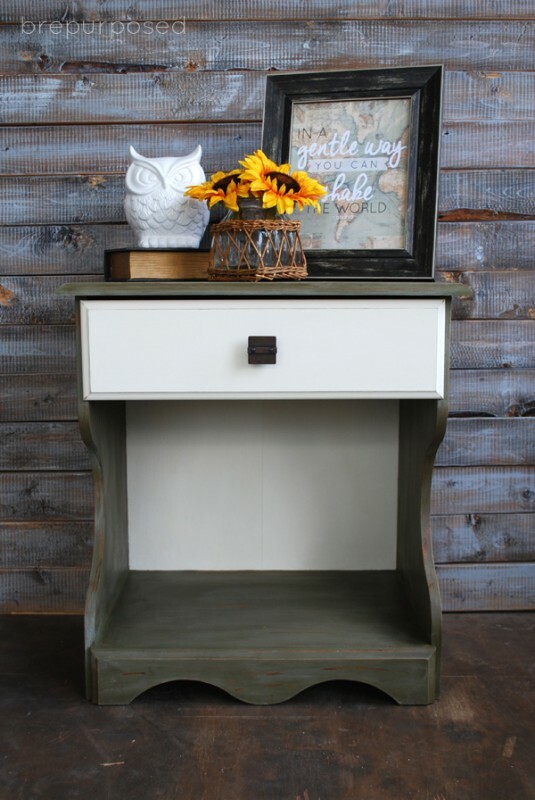 Did you know you can mix Chalk Paint and Latex Paint?? You sure can! 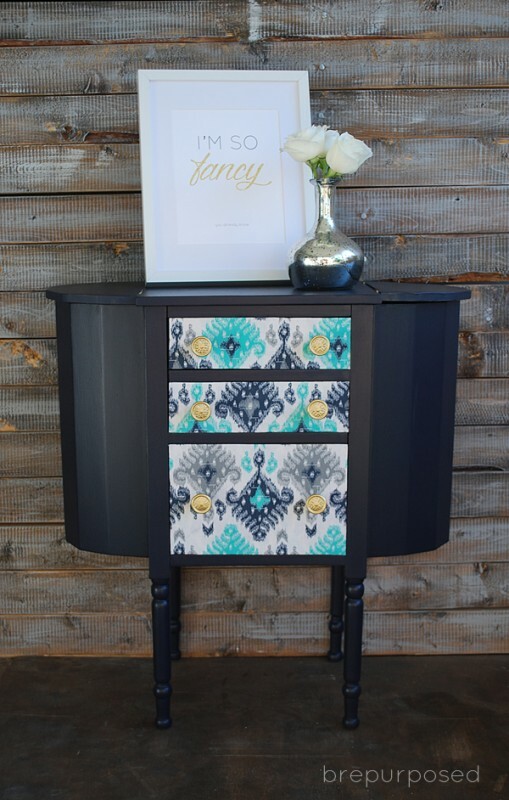 NUMBER 5 :: This is a Martha Washington Sewing Table that my mom picked up for me that I painted in General Finishes Coastal Blue and mod podged some fabric onto the drawers. NUMBER 6 :: I so was SO excited when I found this mini Mid Century Modern Table. It was the first of this style I worked with and I just love it. I painted it with Sherwin Williams Pro Classic white paint and restained it using General Finishes Brown Mahogany Gel Stain. 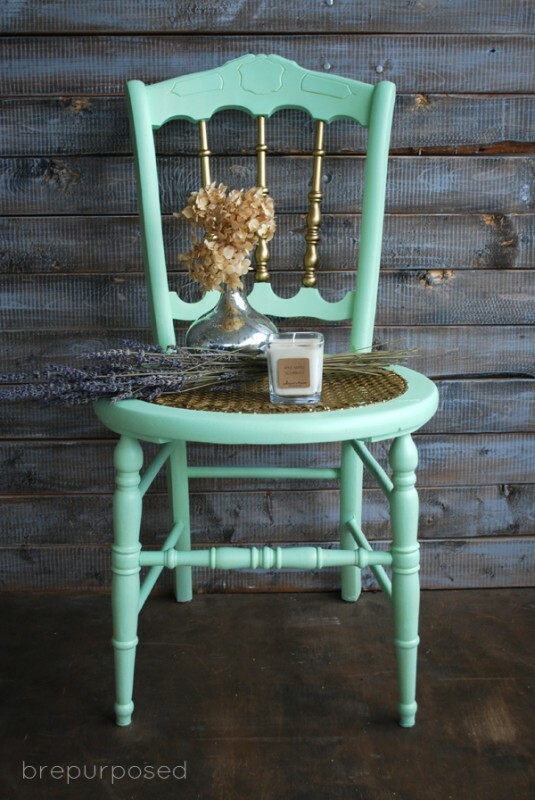 NUMBER 7 :: This table I picked up at a local thrift store and was my first time using Miss Mustard Seed’s Milk Paint. It was definitely an experience and a very interesting paint to work with. It comes as a powder and you mix it with water. It’s great if you’re going for a very chippy look! The color I used is called Mustard Seed Yellow. 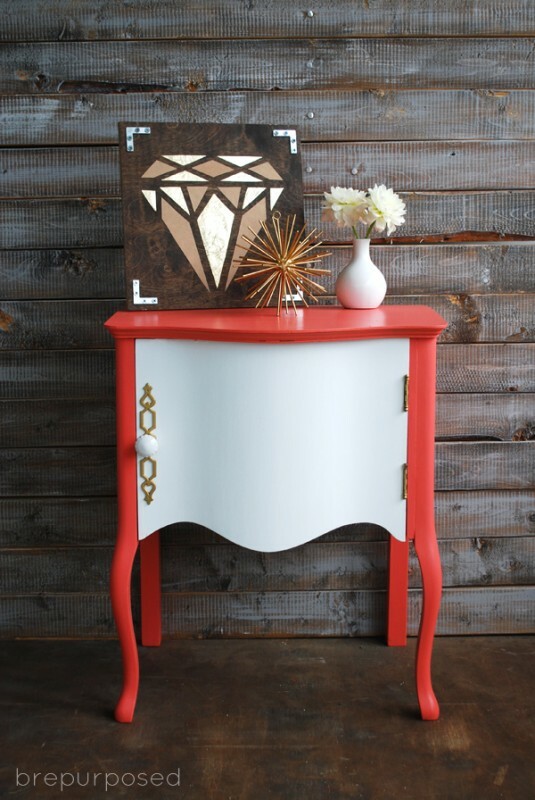 NUMBER 9 :: I picked this table up from another local thrift store and painted it using ASCP in Old White and Olive. 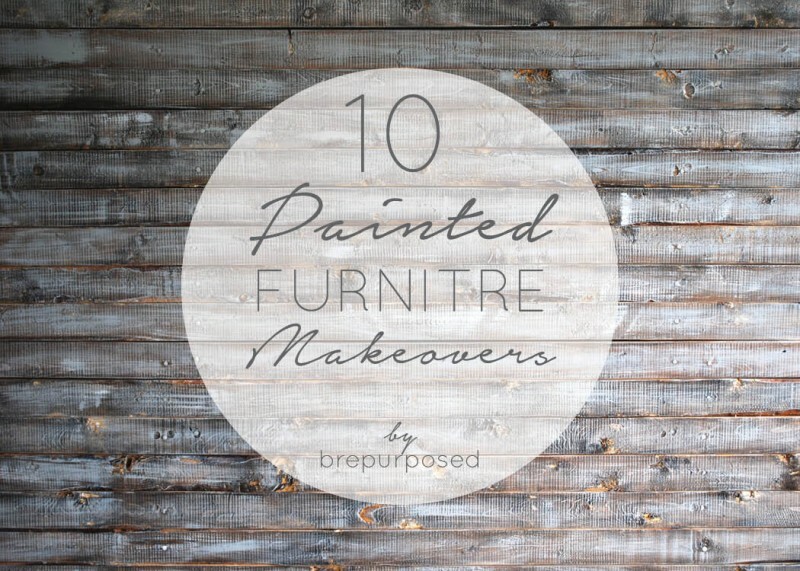 NUMBER 10 :: My mom gave me this chair after she rescued it from the dump and I gave it a fresh makeover using Country Chic’s Refreshed. I also used their gold wax to seal it up. 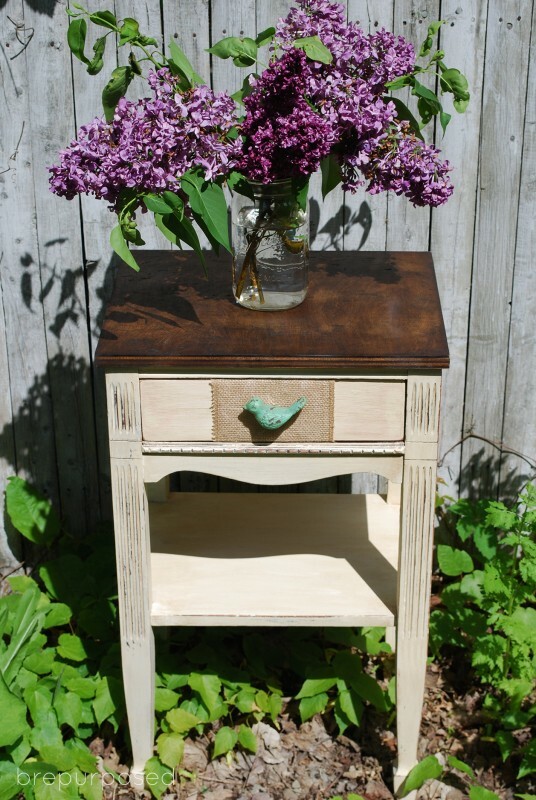 Have you refinished an old piece of furniture lately? 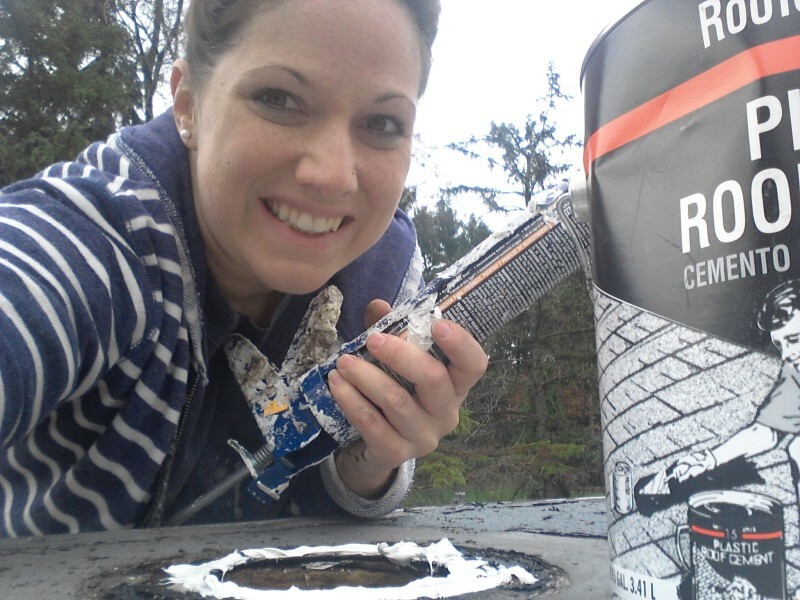 What’s your favorite type of paint to use? We are honored to have a number of guest authors and contributors write for All Things with Purpose. Their opinions are their own and provide great variety to the perspectives reflected on All Things with Purpose. I love all of your creations, you always do a terrific job! You do such beautiful work, Bre! It’s too hard to pick a favorite, they’re all gorgeous! Thank you Amy! I don’t know if I can pick a favorite either! Bre, you are SO talented. Thanks so much for sharing these fantastic projects and tips. I’m so inspired whenever I see your latest creation…let alone 10 of them all in a bunch like this. Love it!